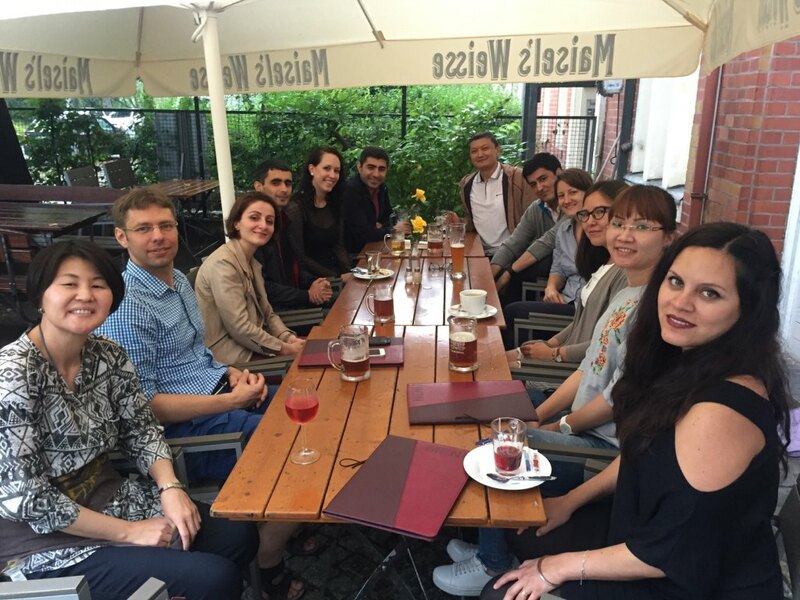 The first two weeks of the Institute for European Politics and Centre international de formation européenne’s PhD School and Research Training Stay concluded. 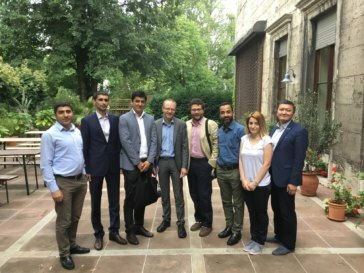 Our six fellows from the Southern Caucasus and Central Asia have had the chance to participate in multiple lectures, hands on workshops, peer discussions, and one on one consultations in order to better their policy papers and theses. The PhD school was opened up by a lecture and discussion with Dr. Tuschhoff in international relations theory before the next day IEP’s own, Julian Plottka, lead an intriguing discussion in methodologies in political science where fellows learned about different research methods for their political science theses and papers. This was followed by training in economics with Professor Schmidt, and then PhD Project presentations. 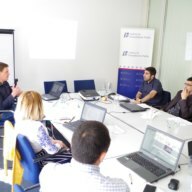 The next day consisted of more practical training in qualitative methods and analysis to strengthen the fellow’s analytical skills in data methods. The last day of the PhD school comprised four lectures starting with democracy theory with Professor Bernd Ludwig in the morning. 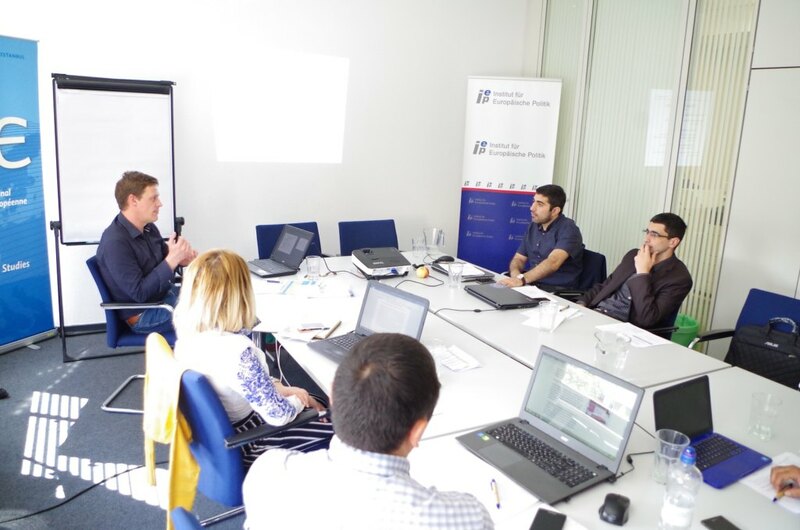 The two final lectures and discussions brought in comparative and regionalism with Professor Sebestian Krapohl, and then a final lesson and group exercise on how to write a policy paper or scientific article with Dr. Aizhan Sharshenova. 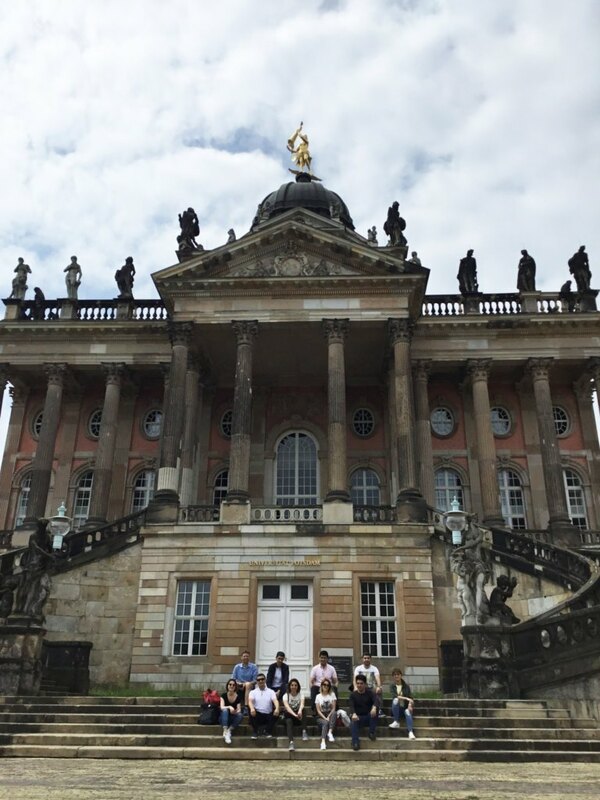 After an intense week, the EUCACIS fellows then visited the historical city of Potsdam which is just outside Berlin. 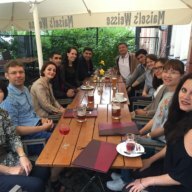 The first day of the Research Training Stay that followed the PhD School allowed fellows to visit many of Berlin’s libraries through guided tours which was then followed by an introduction to the IEP’s research facilities. The following day was primarily designated for individual research and work on the fellow’s research papers. 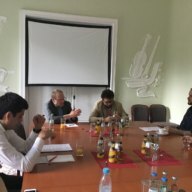 However, the fellows also had the chance to become familiar with the German Council on Foreign Relations project on Eastern Europe and Central Asia where they were able to see policy research in the works. 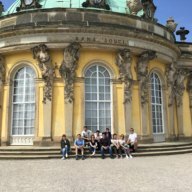 The following Wednesday was filled with much more individual research for their policy papers, but there were also two debates during lunch time. 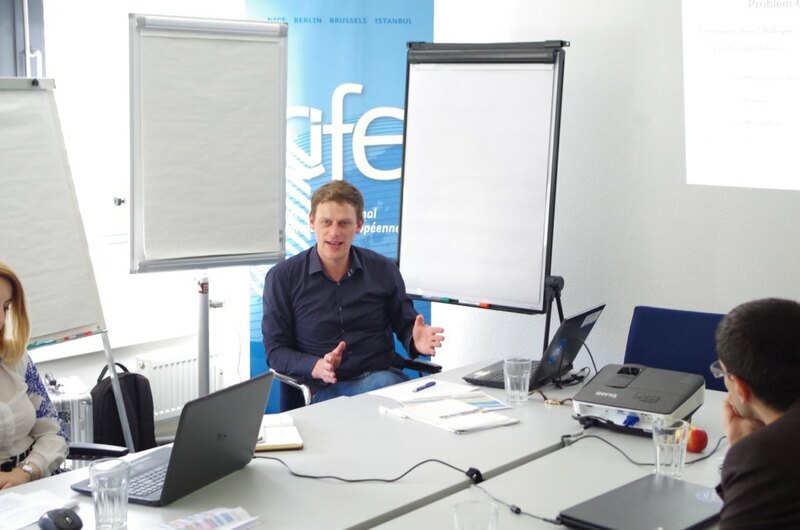 The first debate’s topic was EU crises, reasons and solutions. This debate was moderated by CIFE’s Tatjana Kuhn. 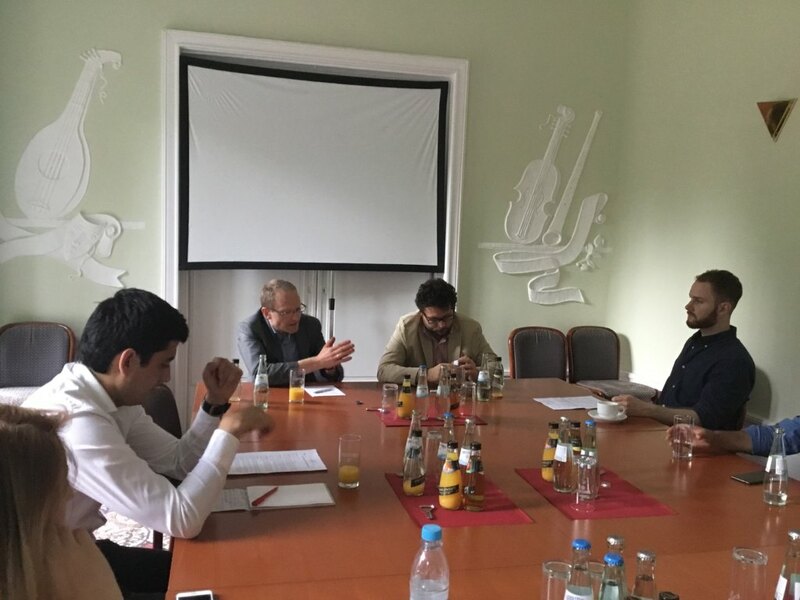 The second topic, political systems of Central Asia and the Southern Caucasus, was moderated by a fellow. 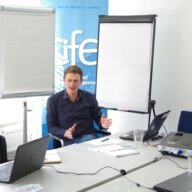 Fellows were encouraged to discuss and debate these topics over lunch in order to enhance and deepen their understanding of them. A weekly colloquium was then held where fellows could share their feedback, suggestions, and concerns for the research training stay. Thursday included more individual research on their topics followed by a visit to one of Berlin’s most historic monuments, the Berlin Wall. 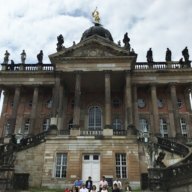 The fellows had a chance to see a true part of history in person before partaking in two more days of individual research. 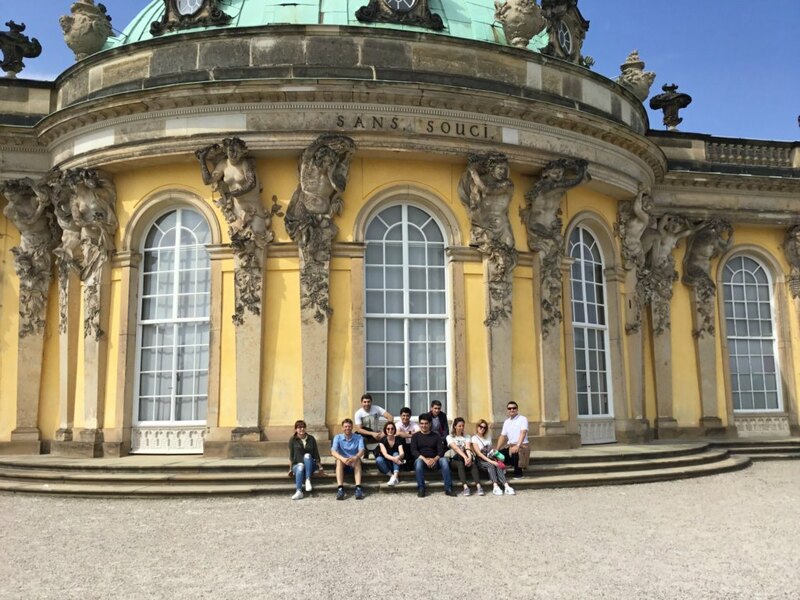 We are looking forward to the next two weeks of the research training stay!